OneRepublic have teased their new LP will be the "greatest album" ever. 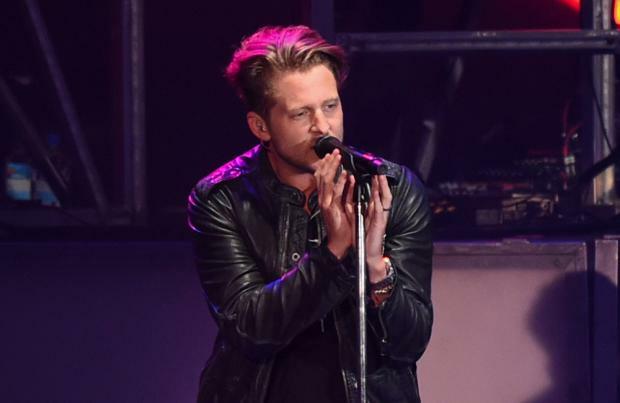 Frontman Ryan Tedder, 36, has penned a handwritten letter to fans updating them on the recording process of their fourth studio album, which they began making back in August of 2014. In the note posted on the band's official webpage - onerepublic.com - he wrote: "Ryan here, it has been a while since we've put out new music + we just wanted to say "Thank You". Thank you to anyone/everyone that has supported as along the years. This January we celebrated 9 years as a band. NINE! In "band years" that's practically 30. Thanks to those who have come along for the journey. "Making an album is NEVER easy. Attempting to make the greatest album of your life is even less easy. That's what we have been doing, and while beauty is in the eye of the beholder and musical excellence is subjective, we have accomplished what we set out to do. We cannot wait for you to hear it. We cannot wait to perform/play it for you in person. (sic)"
The 'Counting Stars' hitmakers worked on the album whilst on the road, and Ryan says each country they visited "invented the sound" of the record. He explained: "The process started in late August of 2014, while on tour in Austin, Texas ... It then picked up in Dublin and contiuned through Paris, Italy, Estonia, Turkey, Russia, South America, and dozens of other countries. "Necessity is the mother of invention. It was necessary for us to write/record this album on the road ... and all the truly inspiring places of the world invented the sound we chased. Stay with us, more to come (sic)"
The untitled record will be their first outing since 2013's 'Native'.